Dr. Stroop’s wife, Zelma, was the great-niece of David and Margaret Lipscomb – Uncle Dave and Aunt Mag, as many called them. As such, the collection, while its main focus is Stroop’s papers, contains unique artifacts of their lives, as well. 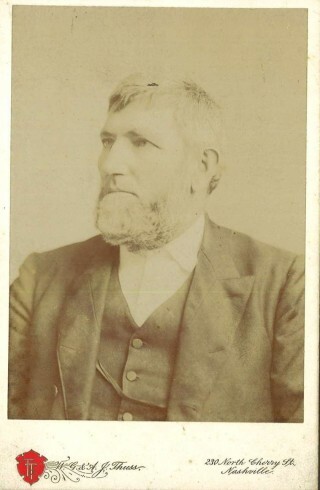 David Lipscomb. Cabinet card photograph, John Ridley Stroop Collection, Milliken Special Collections, Abilene Christian University, Abilene, TX. 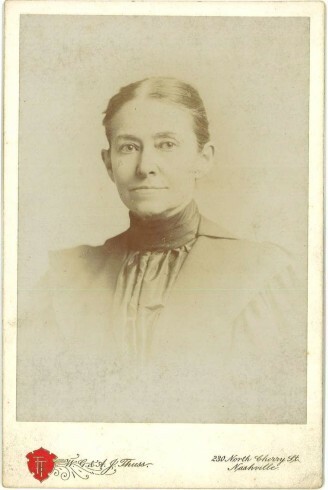 Margaret Lipscomb. 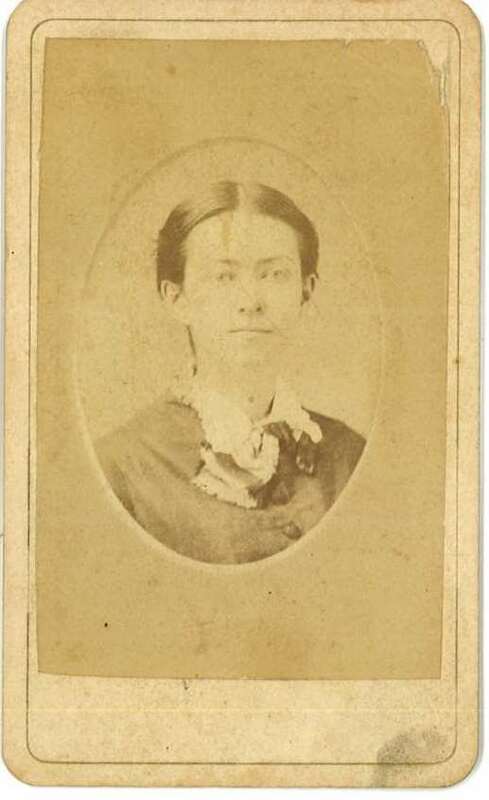 Cabinet card photograph, John Ridley Stroop Collection, Milliken Special Collections, Abilene Christian University, Abilene, TX. Click here to listen to Zelma’s reminiscence of Uncle Dave and Aunt Mag. David Lipscomb, together with James A. Harding, opened the Nashville Bible School in 1891. The school later became Lipscomb University as we know it today. During the first few years of the school they did not distribute traditional diplomas. Rather, leather-bound booklets served as diplomae and transcripts which detailed the student’s completion of the necessary requirements for graduation. Zelma Stroop’s father, Thomas Franklin Dunn, attended NBS and received this booklet upon his graduation in 1898. 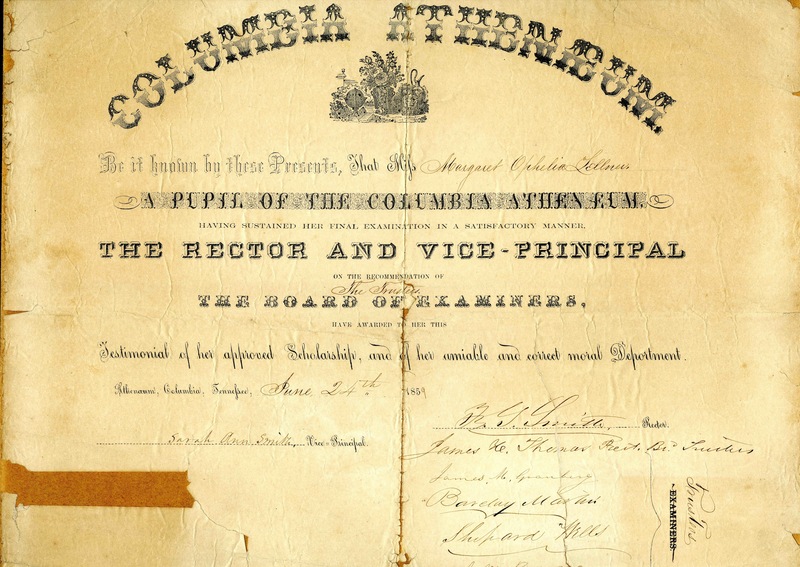 Click here to listen to Zelma Stroop discuss her father’s diploma. Cover. 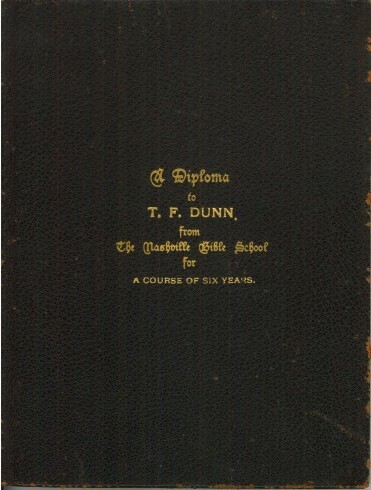 T. F. Dunn Nashville Bible School Diploma, 1898. Diploma, John Ridley Stroop Collection, Milliken Special Collections, Abilene Christian University, Abilene, TX. 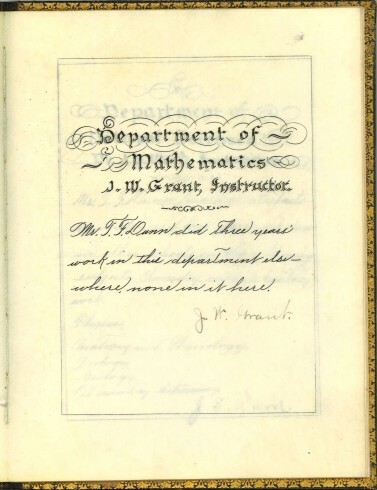 Title page, T. F. Dunn Nashville Bible School Diploma, 1898. Diploma, John Ridley Stroop Collection, Milliken Special Collections, Abilene Christian University, Abilene, TX. 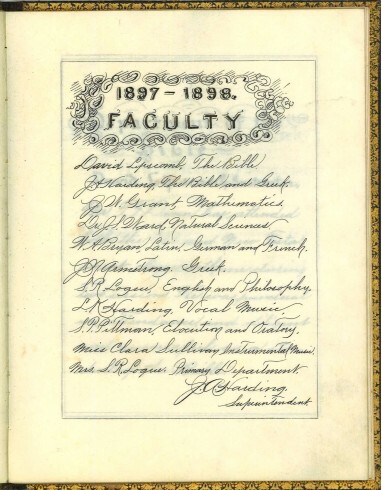 1897-1898 Faculty. 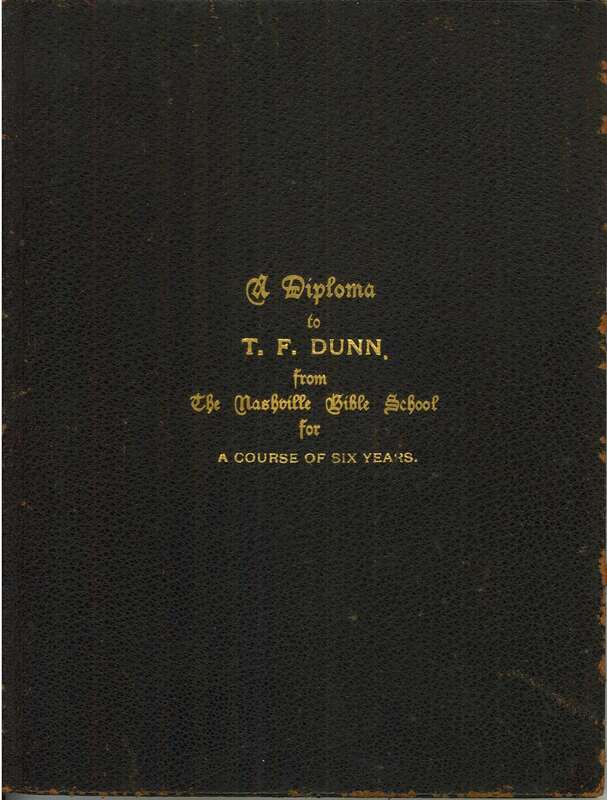 T. F. Dunn Nashville Bible School Diploma, 1898. Diploma, John Ridley Stroop Collection, Milliken Special Collections, Abilene Christian University, Abilene, TX. 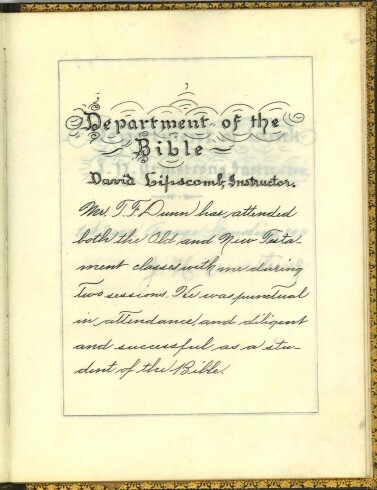 Department of Bible, signed by David Lipscomb. 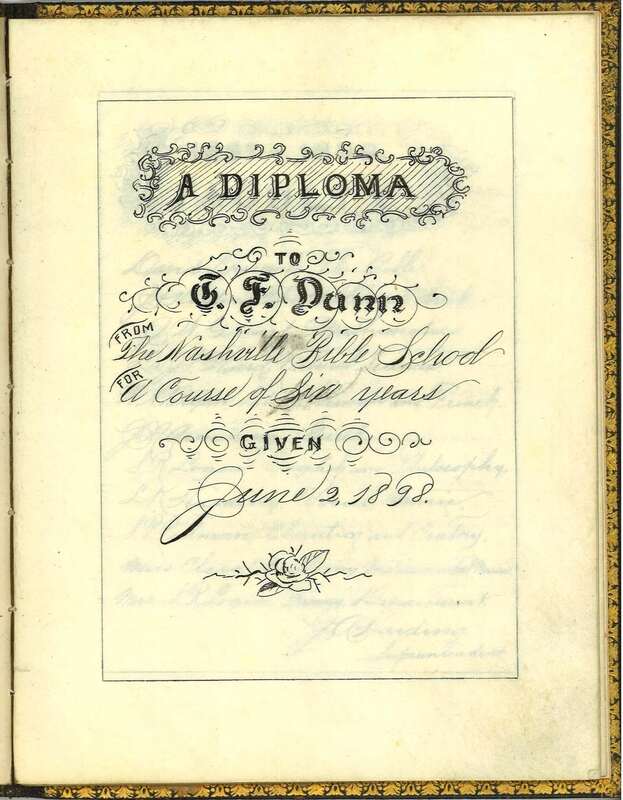 T. F. Dunn Nashville Bible School Diploma, 1898. Diploma, John Ridley Stroop Collection, Milliken Special Collections, Abilene Christian University, Abilene, TX. 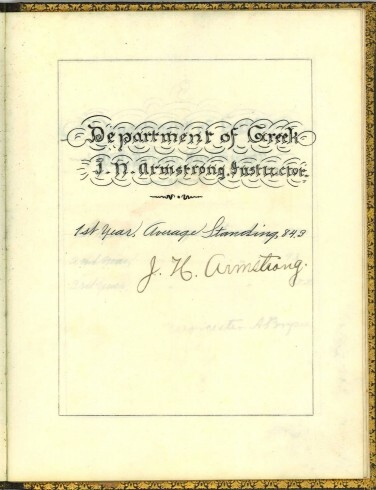 Department of Greek, signed by J. N. Armstrong. T. F. Dunn Nashville Bible School Diploma, 1898. Diploma, John Ridley Stroop Collection, Milliken Special Collections, Abilene Christian University, Abilene, TX. 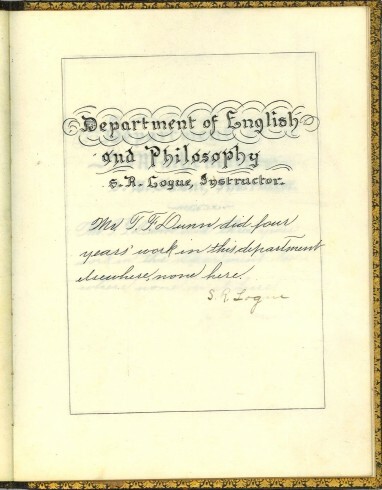 Department of Latin, signed by Worcester A. Bryan. 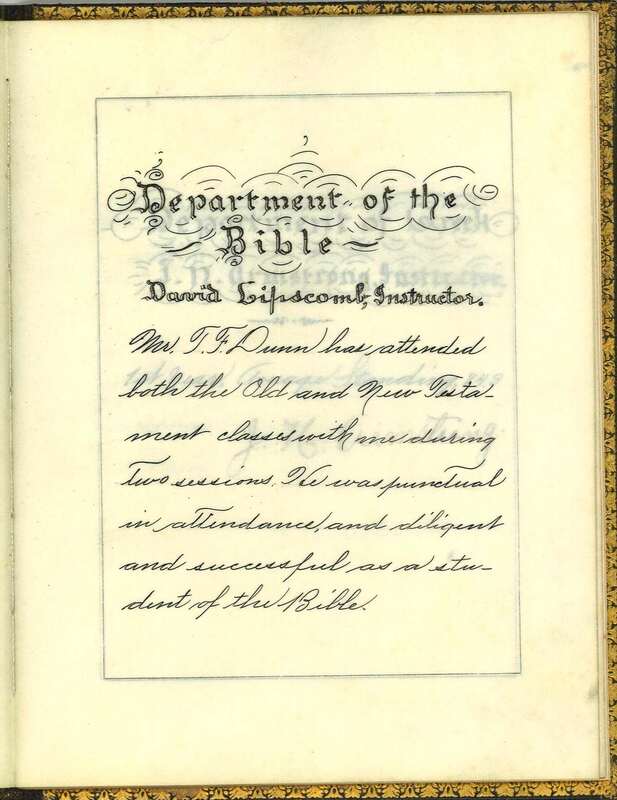 T. F. Dunn Nashville Bible School Diploma, 1898. Diploma, John Ridley Stroop Collection, Milliken Special Collections, Abilene Christian University, Abilene, TX. 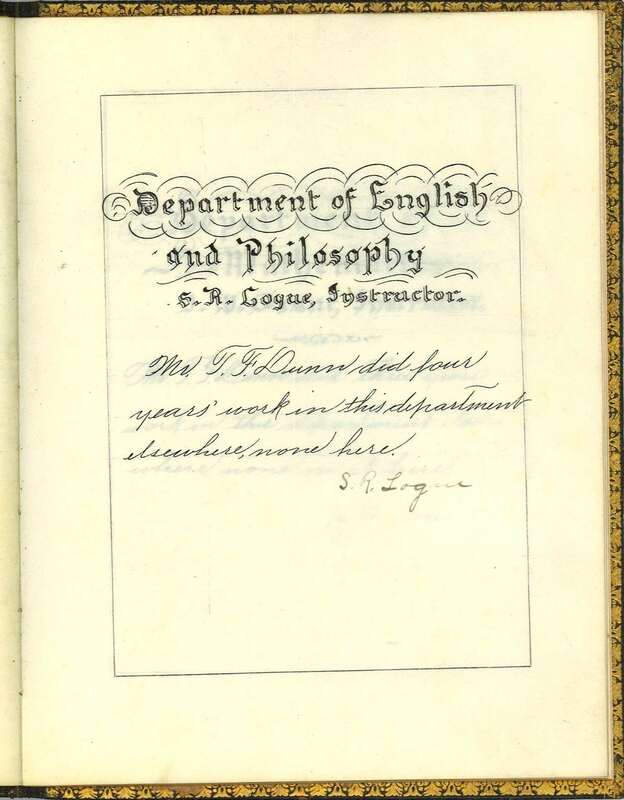 Department of English and Philosophy, signed by S. R. Logue. T. F. Dunn Nashville Bible School Diploma, 1898. Diploma, John Ridley Stroop Collection, Milliken Special Collections, Abilene Christian University, Abilene, TX. 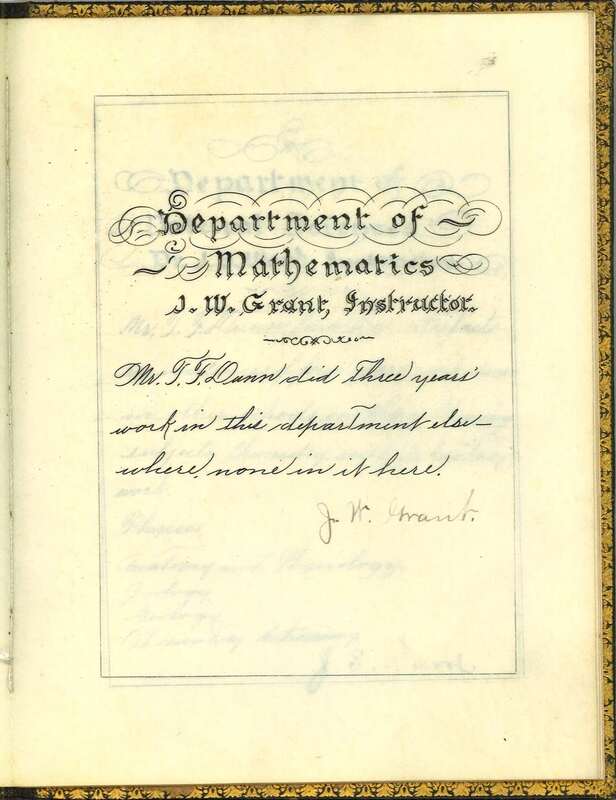 Department of Mathematics, signed by J. W. Grant. 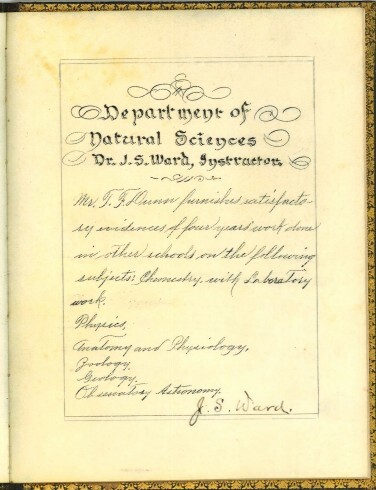 T. F. Dunn Nashville Bible School Diploma, 1898. Diploma, John Ridley Stroop Collection, Milliken Special Collections, Abilene Christian University, Abilene, TX. 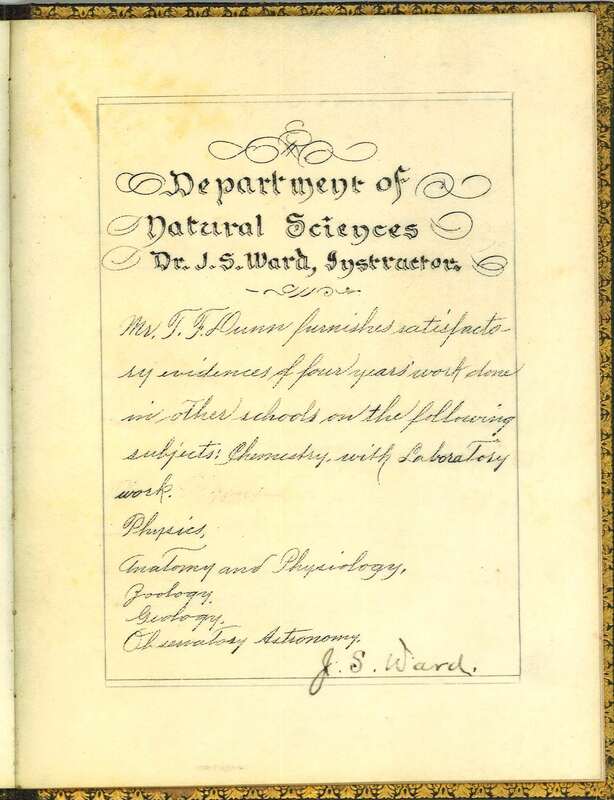 Department of Natural Sciences, signed by J. S. Ward. 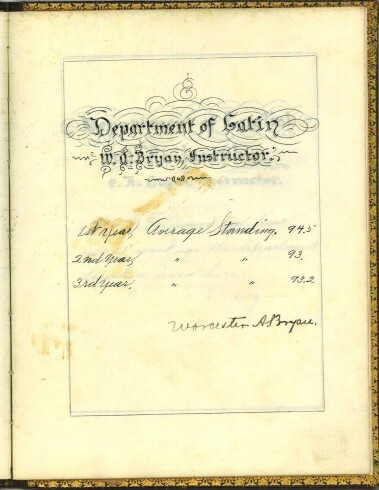 T. F. Dunn Nashville Bible School Diploma, 1898. Diploma, John Ridley Stroop Collection, Milliken Special Collections, Abilene Christian University, Abilene, TX. Diploma, Columbia [Tennessee] Athenaeum, 24 June 1859. John Ridley Stroop Collection, Milliken Special Collections, Abilene Christian University, Abilene, TX. Click here to hear Zelma talk about Aunt Mag’s experience in finishing school. This photo was most likely taken around the time Margaret finished her studies at the Columbia Athenaeum. Carte de viste photograph, John Ridley Stroop Collection, Milliken Special Collections, Abilene Christian University, Abilene, TX.